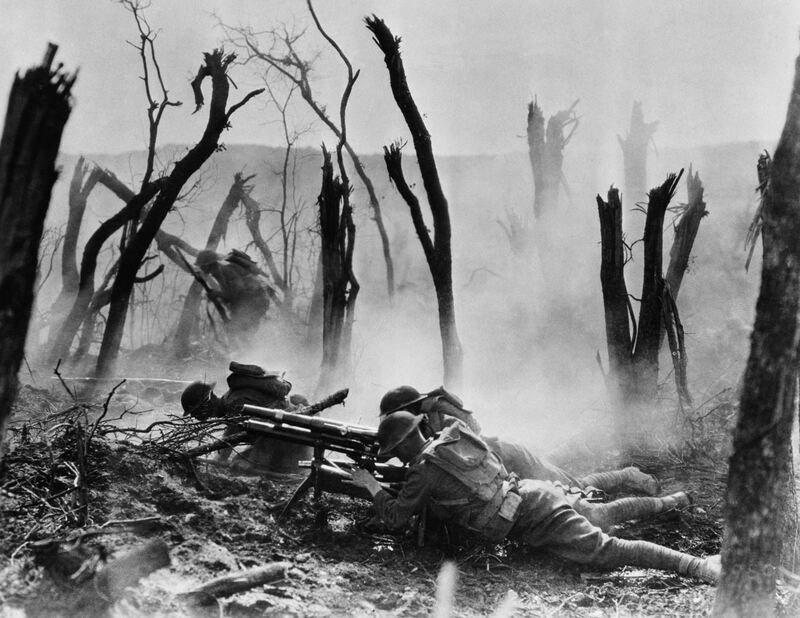 On this day in 1918, the Meuse-Argonne offensive of World War I begins. Allied forces were determined to push the Germans out of France and back into Germany. More than 1.2 million American soldiers would ultimately participate in the multi-week offensive. We lost a lot of good men during those long, brutal weeks. Today, more than 14,000 American soldiers are buried at the Meuse-Argonne American Cemetery and Memorial. It’s the largest resting place for our military men and women overseas. The American Expeditionary Force was then facing a tough task: The Germans had occupied this part of France for years, and they’d installed elaborate defenses. American soldiers would not only have to fight the enemy, but they’d be working their way through barbed wire and past machine gun nests to do it. The bombardment may have cost as much as $1 million per minute! Was born at Marlette, June 12, 1893, son of Correl and Nellie Hurd, and attended the Marlette schools. His occupation was farming. He has three sisters and two brothers: Anna, Sara, and Evelyn; Ross, and Elmer. He is a Selective Service man and left Camp Custer April 29, 1918 and left for overseas July 21, 1918. He was bugler and a member of Co. G. 139th Infantry. 35th Division was gassed October 7th, 1918 at Argonne Meusc. He returned home February 24, 1919.